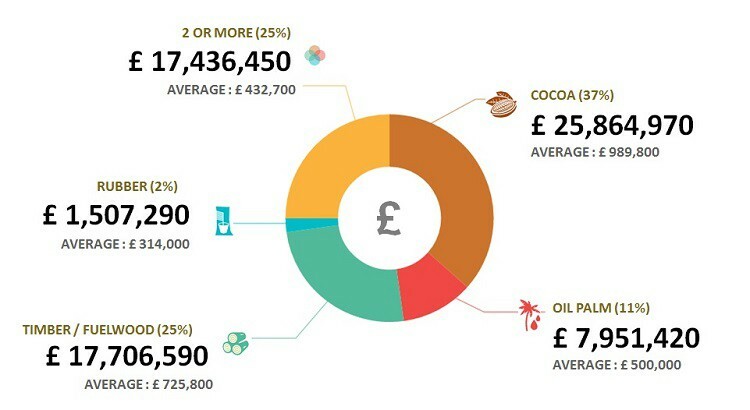 I’m travelling to Marrakech today off the back of a whirlwind trip to West Africa that took in an appearance at the World Cocoa Foundation Partnership meeting in Abidjan and a visit to our regional hub in Accra. When I asked our regional team how they were doing, following the close of our first call for concepts a month ago, their response was universal: ‘Overwhelmed…’ But in a good way right? I asked. ‘Yes, we’re happily overwhelmed by a bigger market than what we thought was out there’ they answered. I think that’s the best way of summing up our reaction to the unexpected response to our open call. 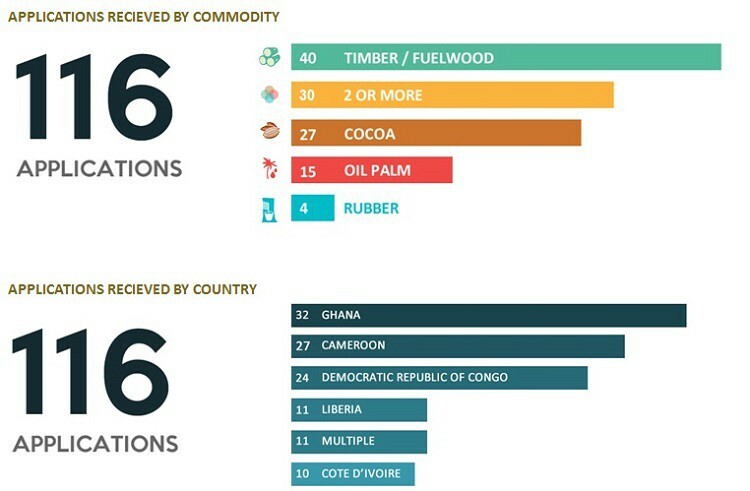 By the time that the call closed on 14 October after only 5 weeks; we received a total of 116 concepts to reduce the deforestation footprint of four major agricultural commodities, from six countries across West and Central Africa and from a diverse array of private, public and civil society partnerships. This response validates a significant demand in the market for partnerships that can catalyse sustainable investments, as well as a sizeable appetite for incubating those partnerships to become viable businesses. While the total amount of funding requested of nearly £80 million is more than the entire global budget for the five-year duration of our programme, it is clear that we have some difficult choices in whittling down the applications to a manageable handful that best fits our mandate and ability to service. At first cut, we are honing in on the concepts that we think will have the most significant impact on our ultimate aim—catalysing private sector investment in forests and sustainable land use. It also means identifying the projects where Partnerships for Forests can add the most value through our technical assistance and grants. This shortlist of a dozen or so projects will be reviewed further over the coming weeks to assess their potential impact and ability to leverage additional resources beyond our modest resources. On a personal note, I’d like to thank everyone who took the time to apply to our call for concepts. Saying no to the overwhelming majority of applicants is simply a function of our limited capacity to pursue the many good ideas that we received. However, I’m quite excited about the handful of the innovative partnerships that remain, and look forward to exploring with them if and how we can best move forward toward commercial readiness. Tomorrow I’m speaking on a panel, ‘Where the Rubber Hits the Road for Achieving the Climate Goals’ at the Global Landscapes Forum alongside the UNFCCC COP22 in Marrakech. Following our 1st call for concepts I can now say confidently that yes, there is an appetite on the ground for public-private-community partnerships to combat climate change by reducing deforestation through sustainable supply chains, and yes, we’re now in a position to catalyse investments for sustainable forest and land use with our first portfolio of on-the-ground projects.